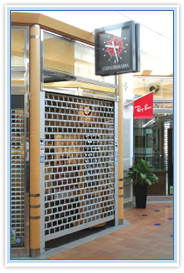 The Rolset company offers you grating of aluminium profiles - perfect building protection at any time. When you own a shop you are forced to protect shop displays and exposed goods against burglary or hooligans. The protection is also important in case of banks, galleries and museums. 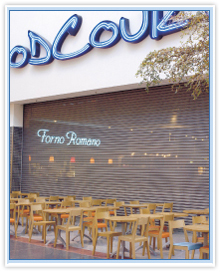 The Rolset rolling grating made of stable aluminium profiles is a very good solution for protection of your object. Also private buildings are protected with the Rolset grating. 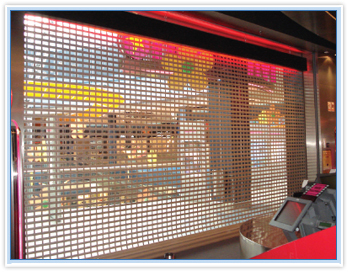 Apart from maximum protection, an effective and optimal goods presentation is also essential. The Rolset grating system meets these conditions with grating opening of various widths. Reliability, comfort and looks do not have to exclude each other that is why the grating is available in many colours, also with an electric propulsion and remote controller.